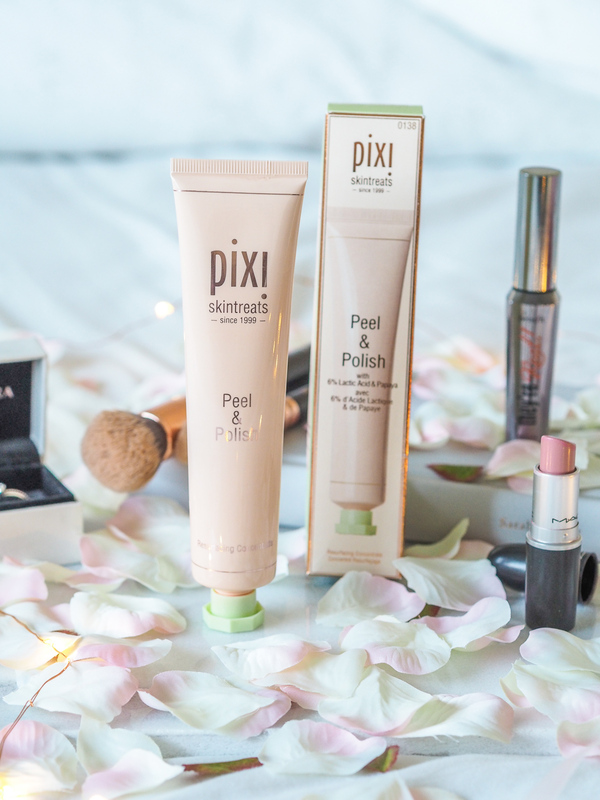 I’m quickly becoming obsessed with Pixi as a brand. Last year I gave their cleansing balm a go and fell in love, then earlier this year I introduced a new duo from them – the rose cream cleanser and the glow tonic – a duo that did wonders for my skin. When my beloved glow tonic was running low a month ago, I decided to pop another of their popular products into my basket – the Peel and Polish. Now, I’ve seen and heard a lot about this product across the blogosphere, and after using it – I can see why. The peel and polish is described as a salon peel treatment without leaving your home – bold claims! It’s an enzyme peel that resurfaces for smoother, softer skin, and a healthy looking glow. Its ingredients include natural fruit enzymes that loosen dead skins cells, lactic acid which gently exfoliates, cellulose peels and sugar extracts to polish, lifting away dullness revealing brighter skin. So after all this hype online, how have I found it? Let me tell you, I bloody love this product. It’s something new and different and it’s something that delivers. It’s suggested you use this 2-3 times a week in the morning or evening. Rub the product over your skin, leave it for 2 minutes for the enzymes to activate and then wash off. If you want to get it working into the skin a bit more, you can moisturise it too. Because of the speed this product works, I find I like to use it in the evenings just as I pop in the shower. I’m well and truly hooked with this – it’s gentle on the skin and has been a lifesaver on those days where my skin is struggling with breakouts or just simply looking a bit dull. The scent is light and fruity, and despite being an exfoliant it’s super gentle on your skin. If you’re a sensitive skin girl – this is an exfoliator for you. I’m always a bit reluctant to spend more money than what you’d spend on drugstore skincare. The peel and polish will set you back £26 for 80ml of product, but with this, I don’t mind giving away my money. A tiny bit of product goes a long way. I’ve been using a pea-sized amount every time and it still seems untouched. 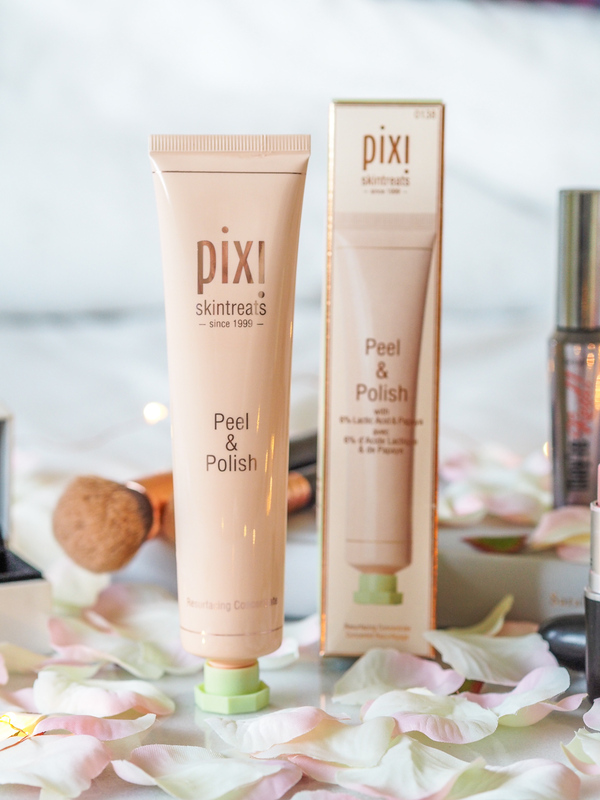 It’s fair to say Pixi have done it again, the peel and polish is another skincare product which will remain firmly in my bathroom cabinet. Have you tried the peel and polish? 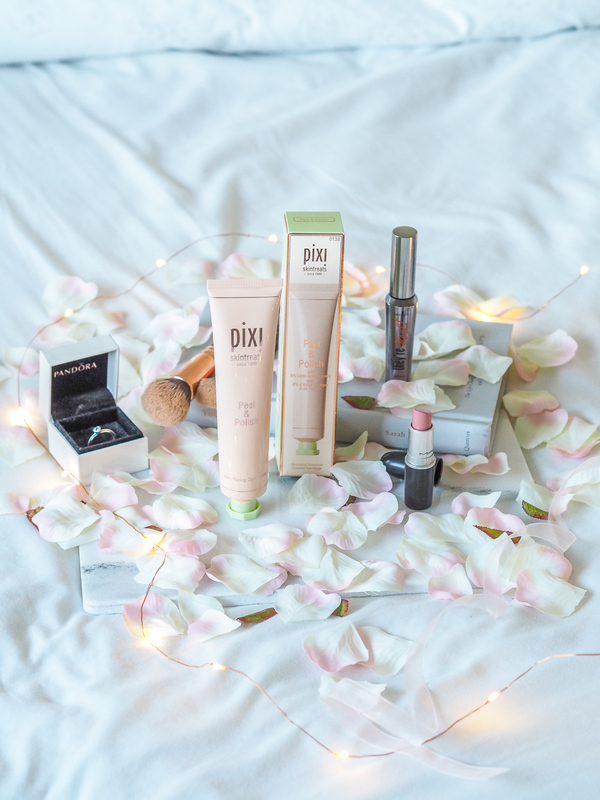 What’s your favourite Pixi product?